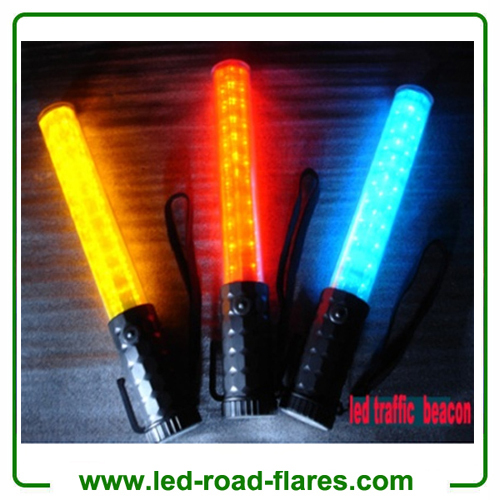 The 36cm led traffic wand is with 3 Modes Red flash, steady red and white LED headlight . This super bright compact & lightweight traffic wand is effective at up to 200 mts. A comfortable handhold design with magnetic base, belt clip & wrist lanyard, capable of over 50 hours use with a set of 3 X AA batteries. End mounted 1X white LED headlight makes this an ideal general purpose traffic wand.